O For 6,000 Hymns to Sing! 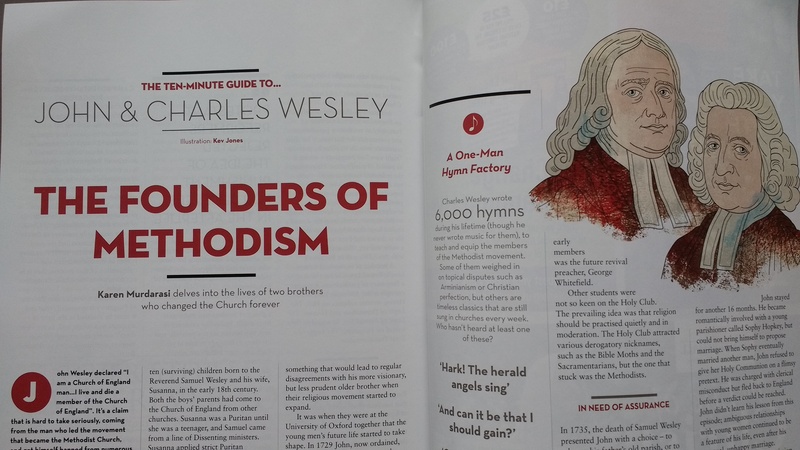 I just got my copy of the June edition Christianity magazine through the post this morning, because I have an article on the Wesleys in it. John and Charles Wesley had very interesting and effective lives – especially the indefatigable John, although I get the feeling that I would have much preferred Charles, if I had known them. Anyway, the magazine should soon be in sale in larger newsagents, if it’s not already, or you can subscribe online. You can even get a copy free, if you’re not a subscriber yet. There’s an interesting-looking article on purgatory (I haven’t read it yet) as well as my own work and usually lots of other good stuff, so you may as well.